Day 4 in Rome: The Prodigal Who? Women have been called to interpret and proclaim the word of God in every age. Sr. Chris Schenk, CSJ reflects on the elevation of St. Mary of Magdala's memorial to a feast day. A Church for Our Daughters campaign Invites U.S.Bishops to dialogue on alarming trend facing the Church. 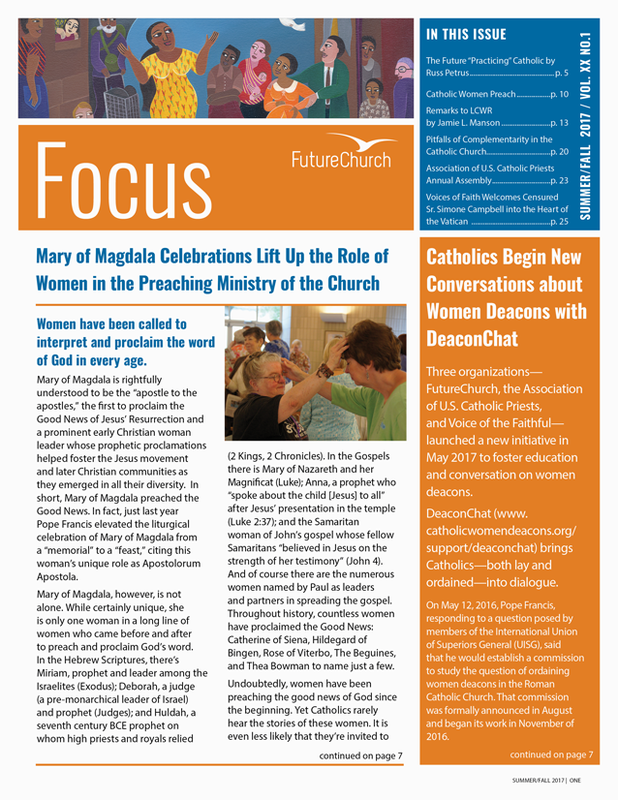 FutureChurch celebrates the first Feast of St. Mary of Magdala building on the theme of "a Church for Our Daughters." Marie Graf looks back at the beginnings of the movement to reclaim Mary of Magdala. There are no related podcasts to display at this time. Please visit our podcast page to view all of our podcasts.